Monday the 15th of August will mark the 40th anniversary of the abandonment of the Gold Standard in the US. What has this meant over the past 40 years? 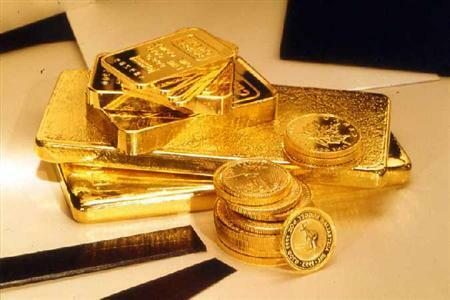 On that day gold was marked at 35 US dollars an ounce. Now it has peaked at 1800 US dollars an ounce and looks set to increase further. That is over 50 times increase in the value of gold expressed in US dollar terms. And other currencies fair not much better. What has changed? Certainly not gold. It is still the same yellow shiny metal it has been for thousands of years. Its purchasing power has not changed at all in fact. One ounce of gold would buy a good quality suit forty years ago. It STILL buys a good quality suit. The amount of dollars you need to buy a good quality suit has changed significantly over the past forty years however. The purpose of removing the gold standard, whatever it might have been, has served only to immerse the US into a bottomless pit of debt it will take decades to get out of if it ever does. In an interview given at Business Week in 2005, James Turk, Founder of GoldMoney stated, "Gold has been rising against all national currencies, and that's significant," he continued, "When there are problems with a national currency... people begin to worry about the value of their money, whether they're going to lose purchasing power because of inflation or other problems. As a consequence, they look for safe havens." And just recently he told Reuters this week, "My long-standing forecast, made in a Barron's interview in October 2003, is that $8,000 per ounce will be reached sometime between 2013-2015. I've stayed with that forecast over the years and see no reason to change it." "Politicians and central bankers are making decisions that debase national currencies, and the resulting bad monetary policies they are following are causing the gold price to rise," he said. Gold’s latest meteoric rise probably has a lot to do with the plunging of Wall Street stocks to the lowest in almost a year and the gradual erosion of the purchasing power of the dollar, but it is more than that. With interest rates the lowest ever and Government Bonds precariously perched on a precipice, gold is seen as a solid and secure safe haven for investors. Long-term gold bull David Beahm, vice president of marketing and economic research at New Orleans bullion dealer Blanchard and Co recently stated, "The best investment right now is gold. By diversifying one's portfolio with a negatively-correlated gold, investors can protect themselves from deep plunges in the equity market." "There is no news in the market today or over the coming few months likely to stop the current gold bull market, as the fundamentals are firmly in place for gold to continue its rise," he says. Traditional investment commentators have dismissed gold -- which, with no "intrinsic" value of its own, is only really as valuable as a buyer thinks it is -- as a classic bubble. Many have predicted gold’s crash saying, "It's a bubble. It's a bubble!" How long is a bubble one analyst asked, "Gold has been rising for 40 years, I don't call that a bubble." Said Jeffrey Nichols, the managing director of American Precious Metals Advisors and senior economic advisor to Rosland Capital, "I believe the price of gold will rise irregularly over the next several years, possibly reaching $1,850 an ounce by the end of this year, breaking above $2,000 in 2012, and possibly $3,000, $4,000, and even $5,000 in years to come,"
As the fortieth anniversary of NO gold standard draws near investing in gold for the future seems to be the way to go to hold onto your value.